Breasley as a manufacturer really show how much science and research goes into producing high-end mattresses but they still sell some of the cheapest mattresses for their specification. For example this high specification Flexcell mattress features 2000 pocket springs and a 7cm layer of memory foam but prices start at just £263. 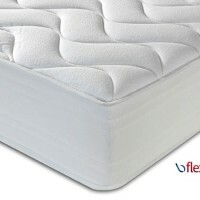 The combination of these two mattress systems offers unrivalled support and comfort as the individual pocket springs depress to meet the contours of your body such as the hips, shoulders and head while the memory foam moulds to the finer details of your body and give a feeling of weightlessness. As a result, this is rated as a medium firm mattress as the 2000 pocket springs offer support while the memory foam creates a comfortable padding layer. In my honest opinion, this is one of the best mattresses around and is without a doubt the mattress I’ll choose when I’m ready to renew. It’s well thought out features really put it on a whole new tier to the rest such as it’s zipped cover while can easily be removed and washed, the hypoallergenic qualities of the materials used and the fact that it comes rolled up and vacuum packed for easy transportation. Breasley give a 5 year warranty so you know your getting value for money. 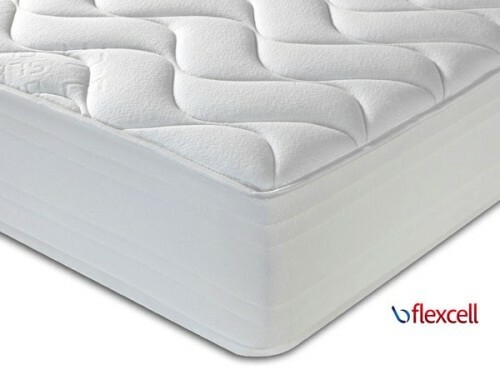 This Breasley Flexcell Pocket 2000 Memory Mattress review would also like to point out to you that unlike most open coil mattresses, you won’t need to turn this mattress which can be a real hassle. This is a 25cm thick mattress with a 7cm memory foam layer and features specific materials that bring your sleeping environment to the optimum 37 degree temperature. Type: Hypoallergenic, Medium Firm, Memory Foam, Pocket Sprung. Be the first to review “Breasley Flexcell Pocket 2000 Memory Mattress Reviews” Click here to cancel reply.